WASHINGTON — Republicans in the Senate moved Wednesday to strip funding for New England’s struggling groundfishing industry from a Hurricane Sandy disaster relief package that they claim was loaded with money unrelated to the October superstorm. Democrats had proposed a $60.4 billion package to provide emergency funds for mid-Atlantic communities hit hard by Sandy as well as for other disaster-related projects. But Senate Republicans countered Wednesday with a $24 billion package that they claim provides immediate disaster relief to storm-affected areas while giving Congress extra time to vet the other projects. Two proposals to remove $150 million in funding for fisheries declared as federal disasters – including Maine’s dwindling groundfishery – angered lawmakers from states fighting for the money. Sen. John Kerry, D-Mass., pointed out that five states in the middle of the U.S. received nearly $40 billion in funding for 68 federally designated disasters between 2004 and 2011. The Sandy funding request was bound to run into some opposition due to its size. The storm caused unprecedented damage in some of the most heavily populated parts of the country, damaging or destroying homes, bridges, roads and mass transit in New York and New Jersey. Some Republicans had questioned the size and scope of the budget proposal, however. The amendment introduced Wednesday by Rep. Dan Coats, R-Ind., removes $13 billion for mitigation projects to avoid damage from future storms, such as fortifications to protect mass transit systems and jetties in seaside communities, according to The Associated Press. “We want to take care of urgent needs now,” Coats said. “We can look at other needs” later. Although a small portion of the $60 billion bill, the $150 million for fisheries sparked considerable debate. The money would provide emergency assistance to fishermen affected by Sandy in New York and New Jersey, but also separate disasters: groundfish in the Northeast, Chinook fishing in Alaska and oyster and blue crab fishing in Mississippi. The U.S. Department of Commerce earlier this year gave disaster status to the groundfishery in New England and several other northeastern states because of the slow recovery of groundfish species, such as cod, and austere catch limits. 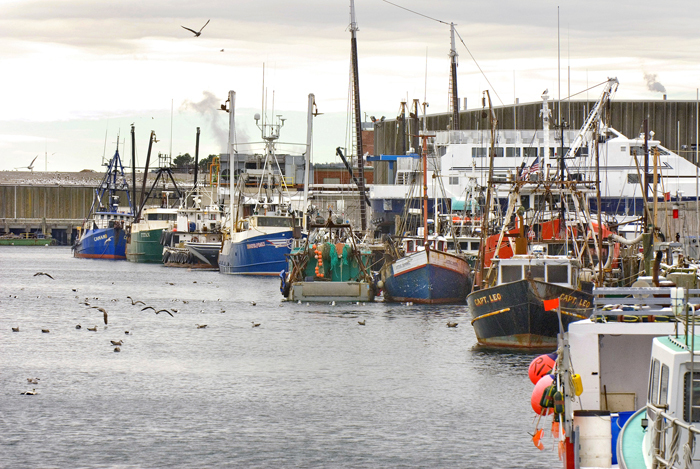 Once the economic backbone of the region, groundfishing now supports just 45 boats in Maine. In addition to Kerry, senators from New Hampshire, Rhode Island, Maryland and Alaska urged their colleagues to keep the fisheries money in the Sandy bill. Neither of Maine’s two Republican senators – Olympia Snowe and Susan Collins – spoke on the Senate floor Wednesday. However, both signed onto a letter sent earlier this week to the Senate Appropriations Committee asking that the fisheries disaster money be included in the larger bill.